A crematorium in Arizona became contaminated with radiation when workers cremated a man who had received radiation treatments for cancer right before he died, a new study reports. The findings highlight a potential safety gap for crematory workers, who might not know what’s in the body they’re cremating. In this case, the radiation in the crematorium wasn’t significant enough to be worrying for the crematory worker’s health, according to a study published today in the Journal of the American Medical Association. But the study also found clues that exposure to radioactive compounds from medical treatments may be an ongoing safety risk for crematory workers. The patient in question was a 69-year-old man with a tumor of nerve-like, hormone-producing cells in his pancreas. To treat it, doctors at the Mayo Clinic in Arizona gave the patient intravenous injections of the radioactive compound lutetium 177. Just a few days later, the patient died from the cancer at a different hospital. Five days after being injected with the radioactive lutetium, he was cremated. The Mayo Clinic team only discovered this weeks later, when they were preparing the next treatment for the patient. Kevin Nelson, a radiation safety officer at the Mayo Clinic, didn’t know if Arizona had any regulations for circumstances like this one. So he contacted the Arizona Bureau of Radiation Control which went in to inspect the crematorium. A sweep with a Geiger counter revealed elevated levels of radiation in the cremation unit, a vacuum filter, and the bone-crusher that pulverizes the cremains. “This wasn’t like the second-coming of Chernobyl or Fukushima, but it was higher than you would anticipate,” he says. Another sweep with a different, more specialized type of radiation detector revealed that they were looking at the same type of material the Mayo Clinic team had dosed the patient with: lutetium 177. It wasn’t enough to be seriously dangerous. And the lutetium should have decayed to a nonradioactive material within a few months. But we don’t know what repeated exposures could mean for crematory workers’ health. So the next spot to look was obvious. “We also wanted to look at the crematory operator’s urine,” says Nathan Yu, a resident physician in the Mayo Clinic’s department of radiation oncology and the lead author of the study. When they analyzed the operator’s pee, they didn’t find any lutetium 177. They found something weirder: a different radioactive material called technetium-99m that doctors use for diagnostic imaging of arteries and cancers. It was a tiny amount, but the crematory operator didn’t recall ever being dosed with the stuff by a doctor. That means it’s likely that the operator had been recently exposed to the technetium when a different patient was cremated. It could be a sign of a bigger problem if crematory workers are exposed to small doses of radioactive materials repeatedly. It’s not an easy problem to fix. Manufacturers provide detailed instructions for handling the drug with patients who are alive, but not for ones that have died, Yu says. 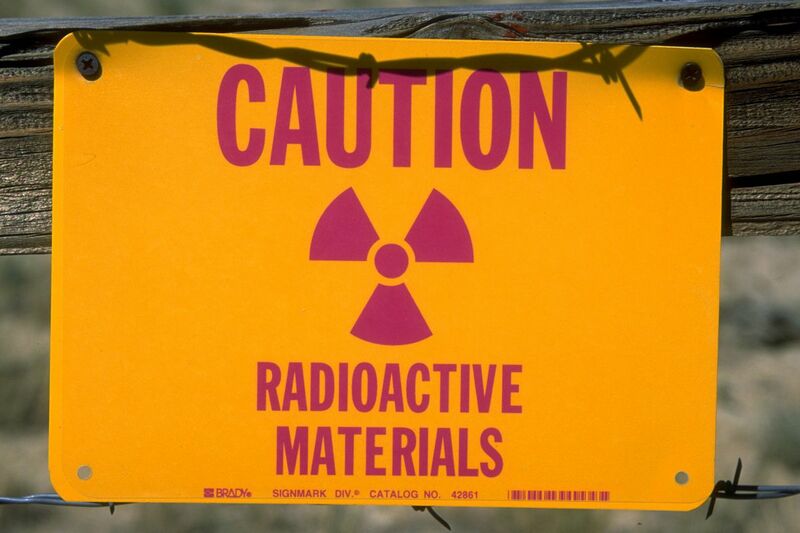 “It presents a unique safety challenge.” Detecting radioactive materials is more complicated than running a Geiger counter over the body. And there aren’t any federal regulations for what to do with a radiation-treated body, Yu says, so the laws change from state to state.